Baby Scientist is an adorable board book series that brings fun, accessible science concepts to baby’s world using simple language, recognizable settings, and vibrant art. Read them all with your baby scientist! Baby Oceanographer explores the oceans. With his snorkel and mask, he looks at the animals and plants under the sea. What creatures are found deep down? Are waves in the ocean like waves in the bathtub? 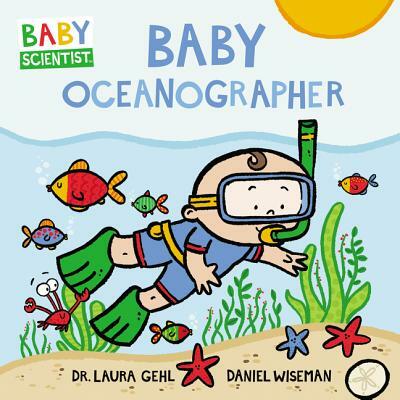 Find out with Baby Oceanographer! Don’t miss the other books in this series, including Baby Astronaut!